Many types of black clothing can be bleached white with items from the drugstore: chlorine bleach, hydrogen peroxide and plastic gloves. 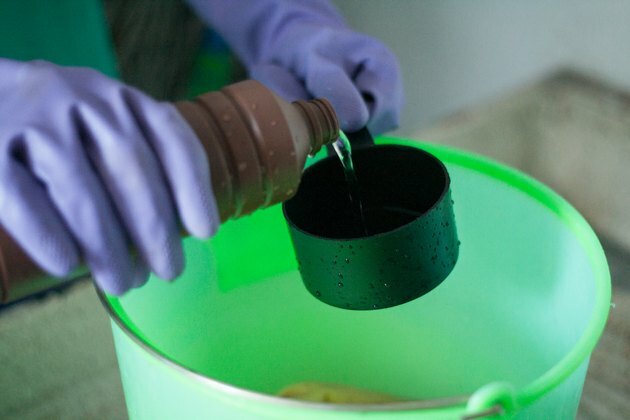 Bleach breaks down dyes within fabric, allowing color to be washed away. Materials such as cotton and cotton blends are receptive to bleaching, but some denims and man-made materials cannot be bleached. 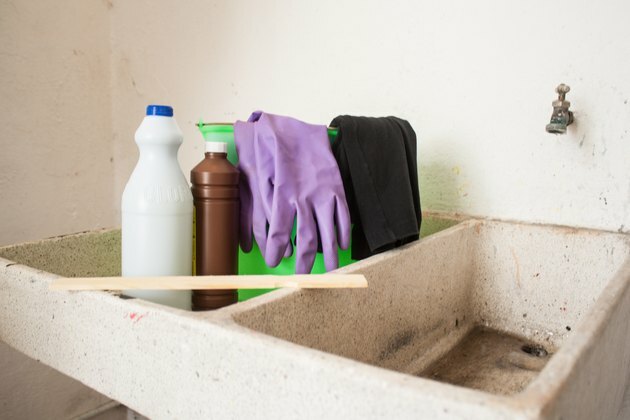 Bleach can be a dangerous chemical, so work in a well-ventilated space while protecting your skin and eyes. By setting aside enough time to repeatedly soak and rinse your clothing, you can cheaply take most items from black to white in one day. 1 bottle of hydrogen peroxide, 16 oz. 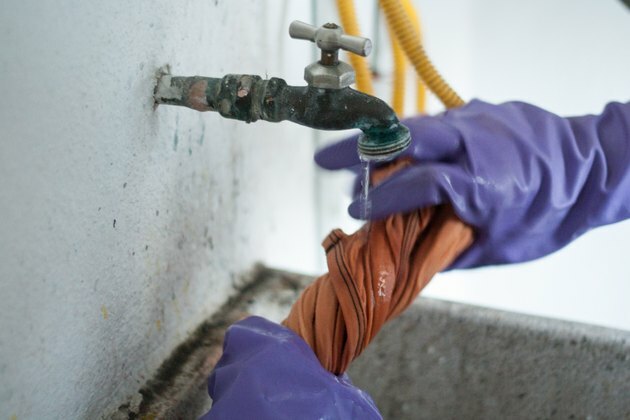 Bring all supplies to a well-ventilated area and wear plastic gloves while handling the bleach. Bleach can damage your skin, eyes, and breathing passages if not used correctly, and mixing bleach with other chemicals can create poisonous gases or dangerous acids, according to the U.S. Environmental Protection Agency. Measure one cup of bleach into your bucket. Add your black clothing and enough hot water to cover the material by at least 1 inch. 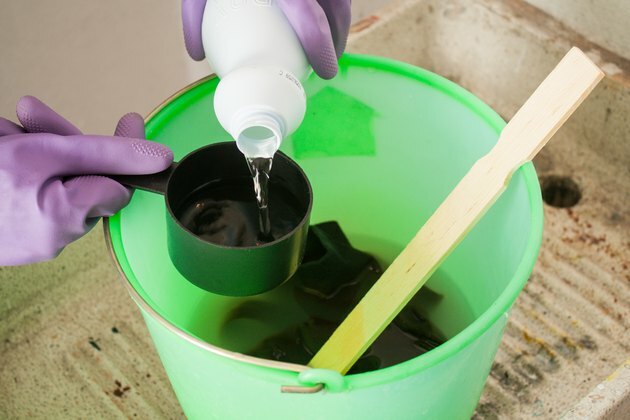 Stir the mixture with the paint stick, then allow the bucket to sit in a well-ventilated area for two hours. Dispose of the bleach-water mixture and rinse the clothing in hot water. Repeat Steps 2 and 3 until your black clothing reaches an acceptable shade of white. Neutralize the bleach to prevent it from eating away at the cloth. Rinse the clothing thoroughly in cold water, then place it in a bucket with 16 oz., or one bottle, of hydrogen peroxide and enough cold water to cover the cloth by at least 1 inch. Let the mixture sit for four hours, then rinse with cold water and wash as you would a normal piece of clothing. 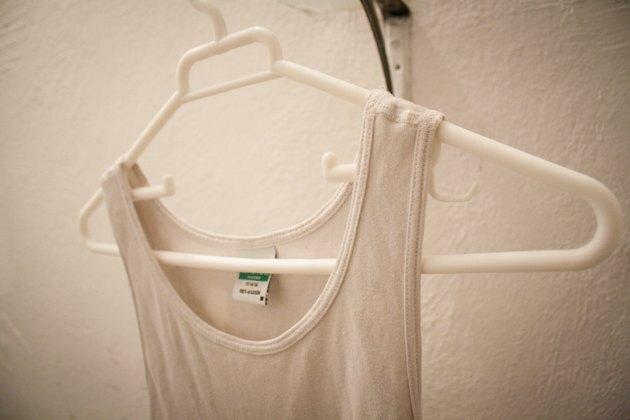 Bleach can weaken or create holes in fabric; do not use bleach on items you cannot risk losing. Bleach removes clothing dye, so it is irreversible. This process is recommended for cotton and cotton blends; heavier materials such as denim and wool will not whiten as thoroughly, and waxed or deep-dyed threads and cloth may be entirely resistant to bleach. 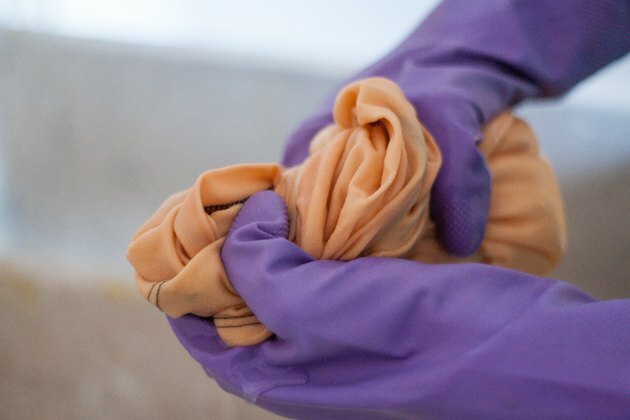 These ingredients are enough to bleach one piece of clothing; repeat the process with separate materials if you wish to bleach more than one item.